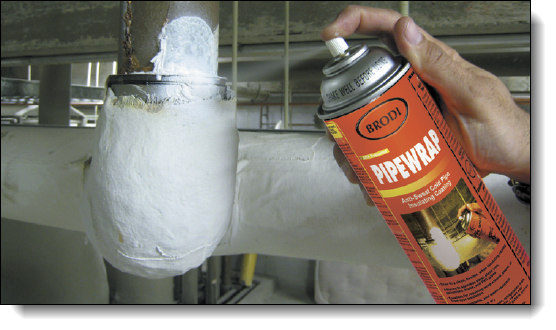 An anti-sweat insulating coating for pipes that stops and prevents condensation build-up and dripping from cold surfaces. 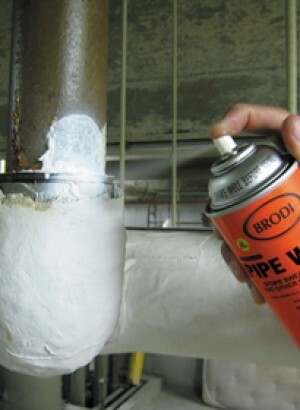 Spray on pipe insulation. 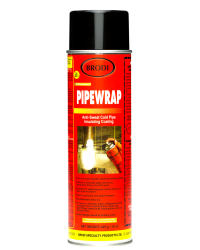 Dries to a clean, flexible, white insulating coating. 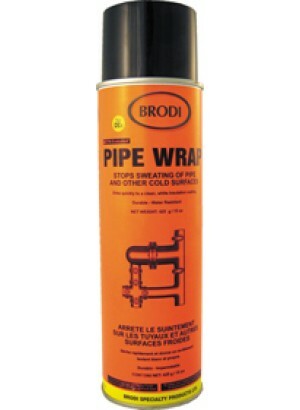 Adheres to stainless steel, black iron, galvanized, brass and PVC pipes. 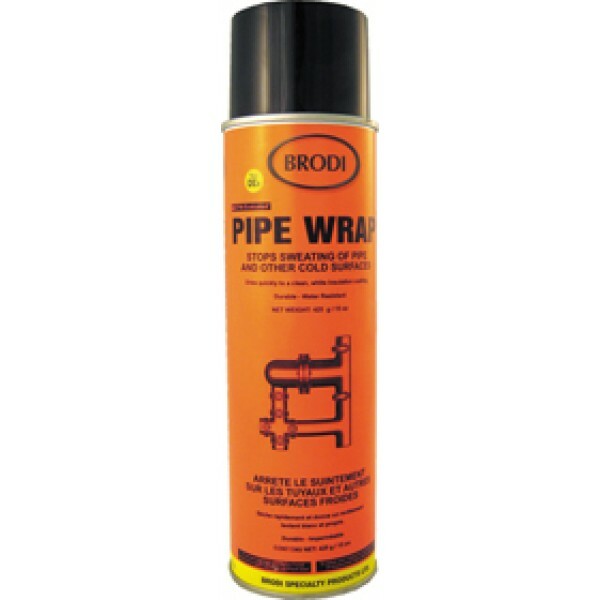 Excellent for repairing wrap around, sleeve or foamtype insulation. 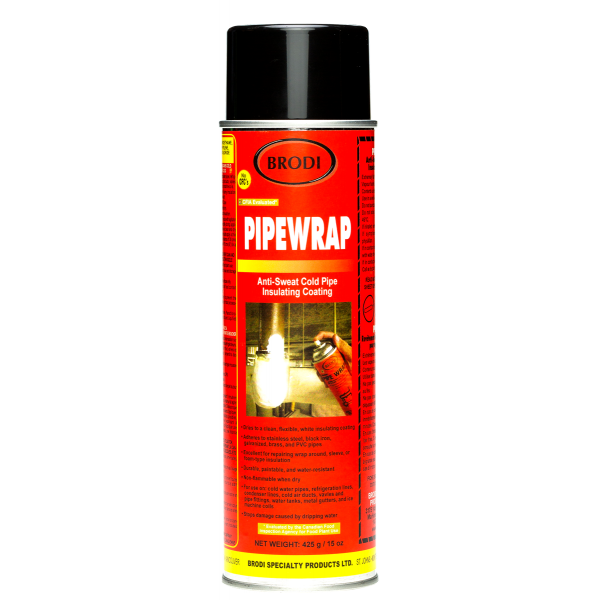 Durable, paintable & water resistant. 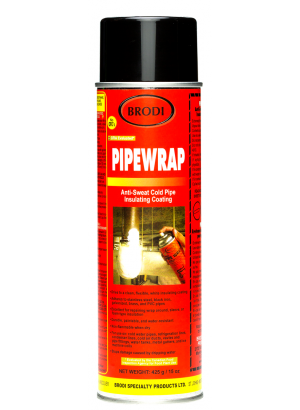 For use on: cold water pipes, refrigeration lines, condensers lines, cold air ducts, valves and pipe fittings, water tanks, metal gutters & ice machine coils. 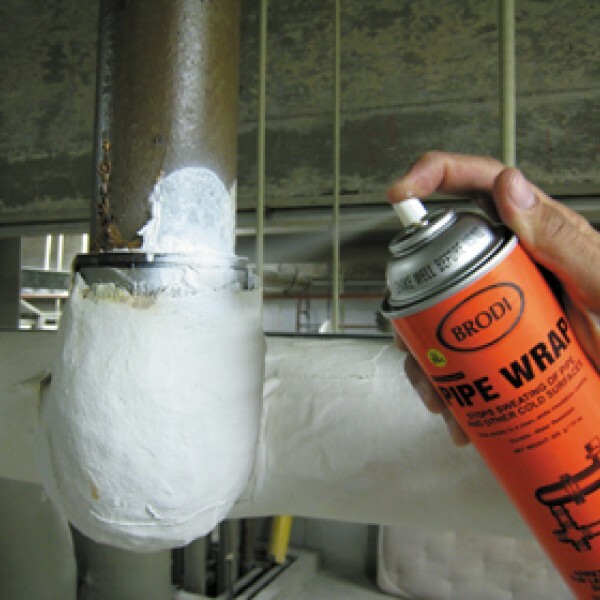 Stops damage caused by dripping water.